Try Jiu-Jitsu For Two Weeks FREE! Mitsuyo Maeda was born on November 18, 1878 and died in November 28, 1941. 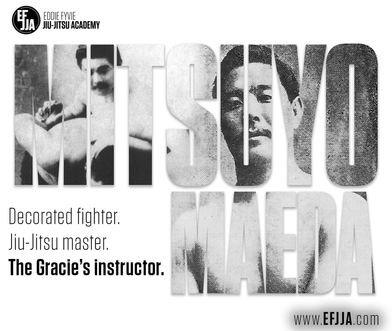 He was a judo expert and prizefighter in no holds barred competitions. He was also known as "Count Combat" or" Conde Koma" in Spanish and Brazilian Portuguese, a nickname he picked up in Spain in 1908. Born October 1, 1913, in Belem do Para, Brasil Helio was the youngest of seven children. From his early days, he was frail, often unable to complete physical tasks without fainting. His brother Carlos began training Jiu-Jitsu while Helio watched from the sidelines. Our objective is to empower you to reach all of your goals on and off the mat. We are committed to teaching and implementing the most effective strategies to defeat a larger, more athletic, and aggressive opponent in any dangerous situation. Beyond that, we are committed to help each individual student reach THEIR potential. We measure each individual student differently and will place our judgement and grade, only on your own PERSONAL potential. 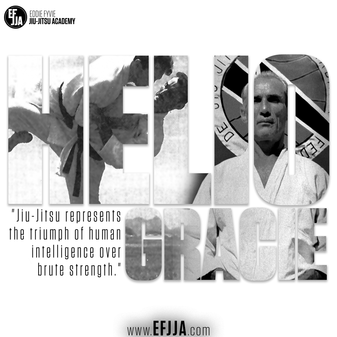 This is the key to allowing all a student’s to practice Jiu-Jitsu to fit their lives and who they are. 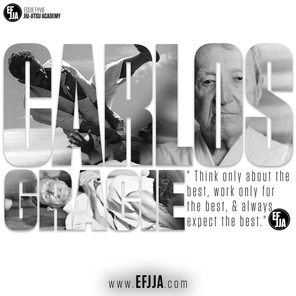 After completing or Jiu-Jitsu foundations course, we will track your journey towards Gracie Jiu-Jitsu mastery by awarding a different colored belt for demonstrating proficiency in each course of the Eddie Fyvie Jiu-Jitsu Academy curriculum. You will start as a white belt. You will receive a blue belt after you complete our Jiu-Jitsu Foundations program. 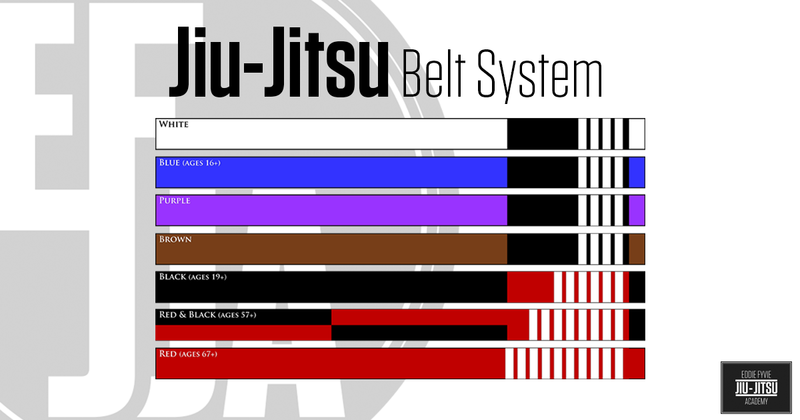 Should you decide to continue training after you earn your blue belt, you will progress to purple, brown, black, red/black (Coral), and red belt over the course of your study. As we said in previous paragraphs, we promote each student on the basis of their PERSONAL potential.  Everyone who enters our academy does so at different points in their life and with different abilities. Your mastery is YOUR mastery! Your focus from BEGINNER to BLUE BELT should be on LEARNING. As you near your Blue Belt, you will notice your technical proficiency increasing rapidly. Your focus on LEARNING will help keep you on the right track. Our ultimate goal for you at Blue Belt is to prepare you a street altercation. Beyond the Blue Belt, we dive into the infinite depths of this great art and develop even further.